Have you noticed that printed catalogs are becoming popular again? These days, businesses are using them to bring their customers online. It’s a great addition to your marketing arsenal, especially if you want something that fits the constantly evolving and changing marketing environment of today. Creating business catalogs are an efficient way showcases your products and services. Wondering if it’s going to take a lot of your marketing resources? Catalog printing isn’t challenging these days – and yes you can easily get it done! This guide is designed to give you an overview of what you will need to create a printed catalog. Plus, there’s some useful advice and tips to make sure the catalog performs well in the market. So, let’s jump right in! You will need high-quality product images in high-resolution of 300 dpi or more. If your images are of lesser resolution or image quality, you may risk getting a bad print that won’t look good in your catalog. More often than not, businesses already have this kind of data lying around in a product database or an excel sheet. Product data typically includes the product name, product category and subcategory, product codes (item numbers or SKUs), product description, salient features (if any), barcodes and more fields of information depending on the types of product you are selling, and of course, the type of catalog that you are trying to create. 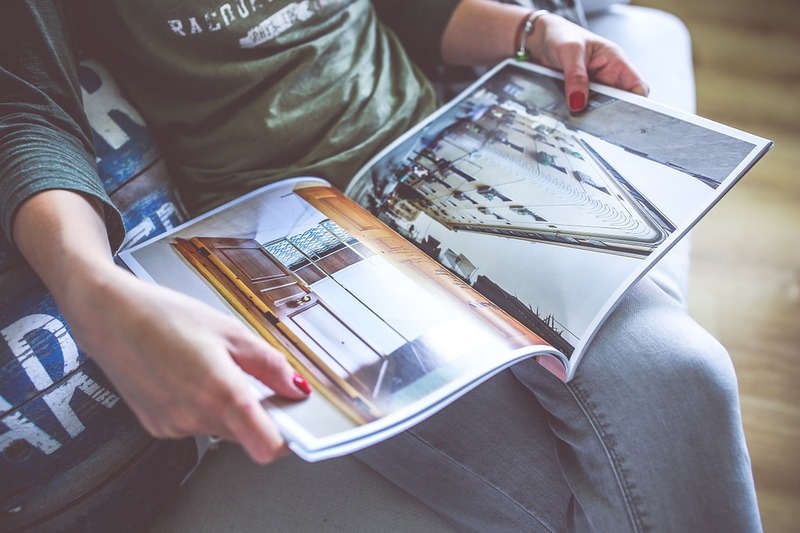 Now, let’s talk about how to make your printed catalog perform well. Don’t just provide them with just a bunch of information. Tell them things they (a customer or retailer) would like to know about your products before deciding if any of them are a good fit for their requirements. You should try to tell them the whole story around your product. For example, you can mention what features make the products unique, where they are manufactured, what they are made up of, pricing, size or dimensions, etc. Considering that the catalog is going to support your product sales, you will need to tailor its design to appeal to and connect with your target audience. For a brand that wants to target a younger audience for their product range, the themes and colour shades used in the catalog are going to be much different than one that targets an older population. Make sure you place your contact information on every single page in your catalog, possibly alongside the footer. It should include your email address and phone number of your sales team, plus the website URL in case they want to visit your website. This way the customers (or retailers) will find it easy to get in touch with you if they want to ask any questions or to place an order. You also might want to read 5 smarter ways to use Instagram. It’s a nice idea to you provide your customers with all the details that they would require to place an order. Have a section that shares with them the terms and conditions of sale, payment methods accepted, minimum order requirements, overall turn-around times, refund/exchange policies and the shipping options available. Which items got more sales than others? Where in the catalog were they placed? Which of the products got no sales and where exactly were they placed in your catalog? Was the overall design of the catalog beneficial or had a negative impact on your sales? How much time did it take before you started seeing some sales come in after releasing the catalog? Apart from this, you can also check with your sales team on how well is the catalog performing for them, or if they have got any feedback. How much would it cost to get a catalog printed? Bulk catalog printing will cost you much less per copy, however, it’s good to be prepared with a budget in mind. Once you are clear about how much you can afford to invest, you can then approach a printing company that offers wholesale catalog printing and request them for a quote. If you really want a high-quality catalog, try not to save a lot on printing costs. Find a printer you can trust for professional catalog printing. Looking up terms like “catalog printing near me” may not always lead you to a trustworthy printer. It’s a nice idea to plan well in advance for printing and distribution. If you give too short of a deadline to your printer, it may affect the quality of the output.